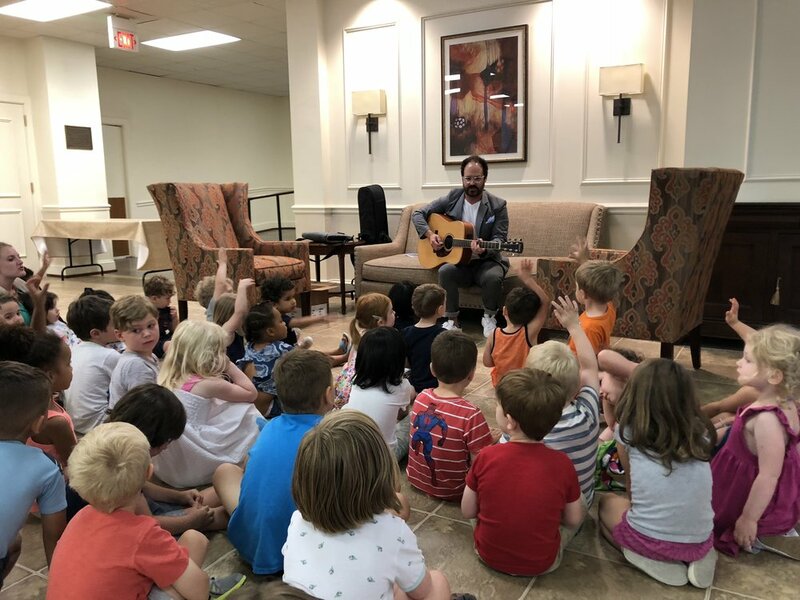 "We had Mr. Layne here at the Inglewood branch of Nashville Public Library for a reading of his new book Pippin No Lickin’, an enchanting tale of a little cat with some lessons to learn. He engaged the children with a lively interactive program where they were allowed to help Pippin gain some life skills while having fun in the process! Mr. Layne did a great job and we look forward to having him back at the library for more adventures." Layne singing Pippin Wouldn't Take A Bath after reading Pippin No Lickin' at West End United Methodist Pre-K.